Assume there would be $x_1 < x_2$ such that $f(x_1) = f(x_2)$. The function $f$ is continuous and differentiable on $[x_1,x_2]$. 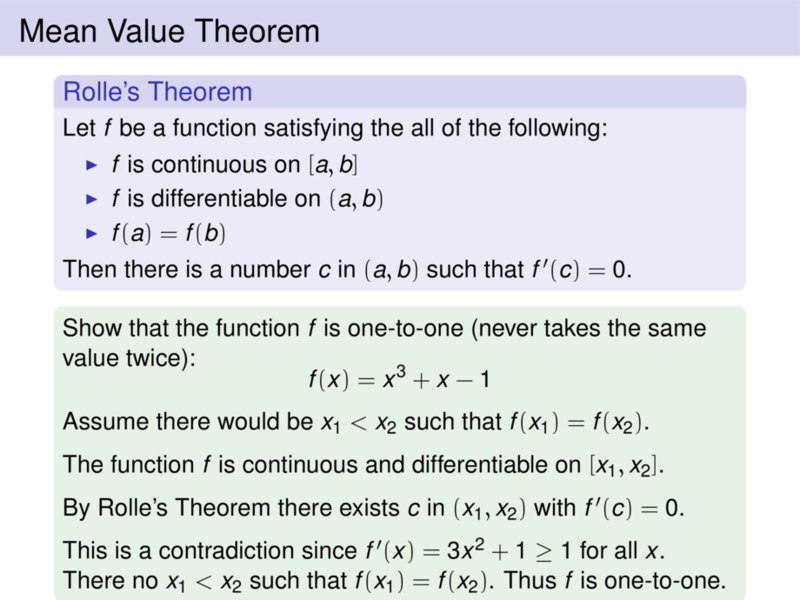 By Rolle's Theorem there exists $c$ in $(x_1,x_2)$ with $f'(c) = 0$. This is a contradiction since $f'(x) = \pause 3x^2 + 1 \pause \ge 1$ for all $x$. There no $x_1 < x_2$ such that $f(x_1) = f(x_2)$. Thus $f$ is one-to-one.